This treatment providing a decongesting and anti-fatigue action, fights effectively against the aging signs. Regenerates the skin in-depth and helps smooth small wrinkles of the eye contour by softening the skin. 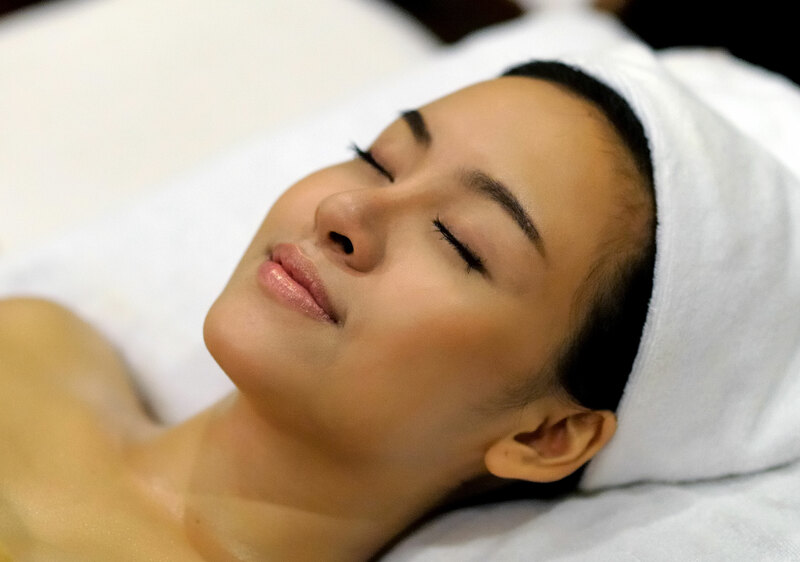 This treatment is rich in INTELLIGENT HYDROLIPIDS capable of capturing the water molecules available in the environment, storing them and then sharing them with the skin as soon as it becomes dehydrated. A “VITAMIN-BOOSTER EFFECT” due to a supply of 3 Vitamins (Vit A, Vit C and Vit E): regenerating, lightening and protective. The effectiveness of each vitamin is strengthened by the “skinjection” effect, i.e. a more in-depth, thus more powerful action. 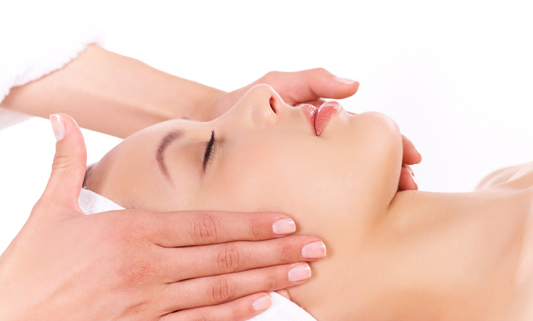 Intense skin regeneration treatment: the skin shows new signs of vitality and youth. Smoother, more flexible, firmer, it shows its strength and its dynamic properties. Head or Shoulder: Using Shiatsu techniques on the head or shoulder to relieve stress, lower back pain, digestive discomfort, headaches and more. Leg or Feet: For overworked legs or feet due to physical activity. Relieves pain including chronic ankle & knee injuries. Back or Neck: For persistent or chronic neck & back injuries. Relieves overuse from physical work or activity. Hand or Arm: For overworked hands or arms from physical or sports activity. Relieves pain including tennis elbow & shoulder joint pain. Balinese massage is an aroma full-body, deep-tissue, holistic treatment. Balinese massage uses a combination of gentle stretches, acupressure, reflexology, and aromatherapy to stimulate the flow of blood, oxygen and energy around your body, and bring a sense of wellbeing, calm and deep relaxation. The massage uses a variety of techniques including skin rolling, kneading and stroking, and pressure-point stimulation, combined with the aromas of essential oils. Ayurvedic massage is original and widely in India since 400 years. It uses essential warm oils that are chosen to suit your sense. The massage techniques used include tapping, kneading and squeezing as well as the more traditional massage strokes you would expect. The style and flow of the massage is determined by what your body needs for balance and wellbeing at the time. Swedish massage is one of the most popular treatments using oil. It involves a deep tissue massage using five styles of long flowing strokes, with both gentle and vigorous pressure. This relaxing treatment provides total relaxation and has been shown to help reduce pain and joint stiffness. This massage combines the best of Eastern and Western therapies to promote health and sense of wellbeing, using special aromatherapy oil. The ancient oriental massage integrated into this therapy concentrates on the meridian lines to detoxify, improve organ function and promote self-healing. A 90 or 120 minute treatment also includes hot stones which deeply penetrate into the muscles and release tension. This treatment is a unique form of Buddhist therapy that blends yoga, acupressure and reflexology. It is a system of massage and assisted stretching over the entire body. No oils are used for this treatment. The body will be energized and rejuvenated after this treatment, with better range in movement and increased flexibility. Allow 2 hours for deeper relaxation and stress relief. Originating in Japan, this treatment is believed to relieve stress, lower back pain, digestive discomfort, headaches and so much more. It also helps with fertility and reproductive issues. Shiatsu moves stagnant energy, removes blockages and creates balance in the body's energy systems by applying firm pressure to energy points and restoring the flow of "chi". Dance movements, combined with the breath work of the therapists are integral aspects of Hawaiian – Lomi Lomi massage. These movements, combined with breathing techniques, are important to assisting the energy flow both within the therapist and recipient, and help keep the energy at a higher level. Based on traditional holistic healing; this is a distinctive oil based treatment. A deep tissue treatment, incorporating firm palm, thumb and forearm pressure to relieve and heal muscular aches and pains. Employing a unique blend of Thai, Shiatsu and Swedish techniques combined with oil to help induce relaxation and ease away tension. This rejuvenating massage treatment is highly recommended for active people or after any sports activity. This excusive treatment involves two therapists working simultaneously with all four hands in harmony massaging fragrant oil over your body in blissful, synchronized waves. During this multihand massage, therapists use long soothing mirrored strokes but at times intertwine their hands to produce motions that cause the body to experience euphoric release. This 60 minute treatment provides more than double the results. 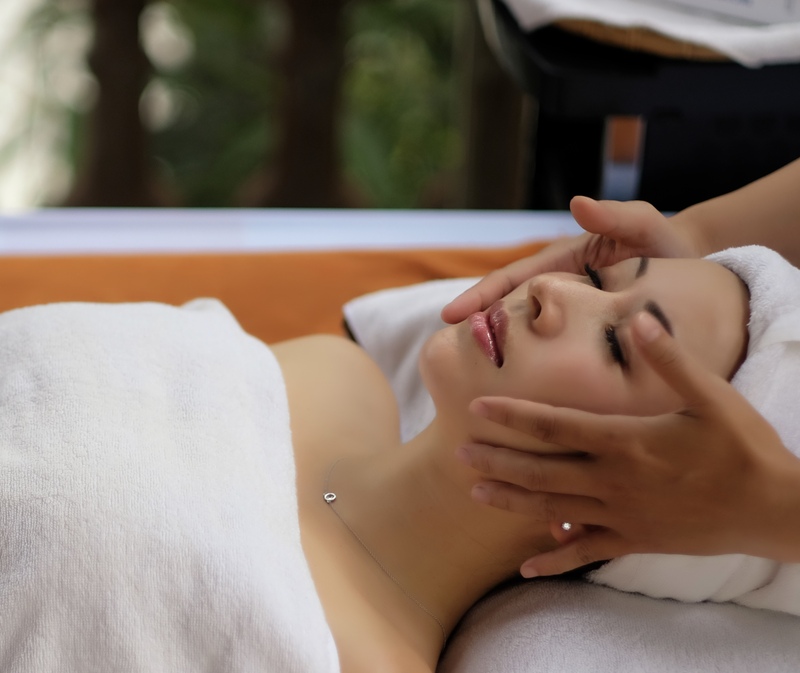 Enjoy the sensation of being pampered with this extremely relaxing treatment. The six hand massage is a unique and luxurious healing experience. Three therapists work together all over the body; they move continuously using long Hawaiian style massage strokes and moving in harmony with each other without ever leaving the skin. This hypnotic and unforgettable experience will induce a state of deep relaxation. Heated muslin parcels of herbs and spices are placed on various parts of the body to relieve sore muscle, improve circulation and refresh the skin. The herbal packs are used in place of hand to massage the body. This treatment creates a sensual experience so indulgent; it will be difficult to remember a massage so therapeutic. This combination of herbs and massage is extremely successful helping to relieve stress and anxiety and promote self healing. For strong and healthy skin, aromatic Salt Scrub exfoliates the skin while it moisturizes. Salt Scrub provides the benefits of moisturizing rice bran oil, exfoliating free radicals caused by everyday pollution. Thyme oil and Mint oil clarify the skin and refresh mind and spirit. Our unique nourishing cream-based scrub formulated for soft or sensitive skin. Made of corn cob, tamarind and apricot kernels, it will help shed dead skin cells to help re-generate new ones to reveal a smoother and brighter complexion. This treatment works for anyone that is actively trying to loose weight. It has been shown to have a positive effect on problem skin and cellulite. It also helps the body eliminate toxins, clear lymphatic blockages, boost immunity and reduce skin puffiness caused by water retention. This treatment, based on tradition Chinese concepts, utilize reflex point connected to the organs and glands of the body, combined with massage reflexology in the feet, legs, shoulders and head. This relaxing 90 minutes treatment includes hot stones, which adds warmth to help massage the muscles in your body back to their natural state. This totally therapeutic treatment begins at the toes and includes healing pressure on the soles of your feet relating to all major organs in your body. This treatment improves general health and well being, improves blood circulation and will promote deep relaxation. Hot Stones and warm hands will help release tension and remove stress.